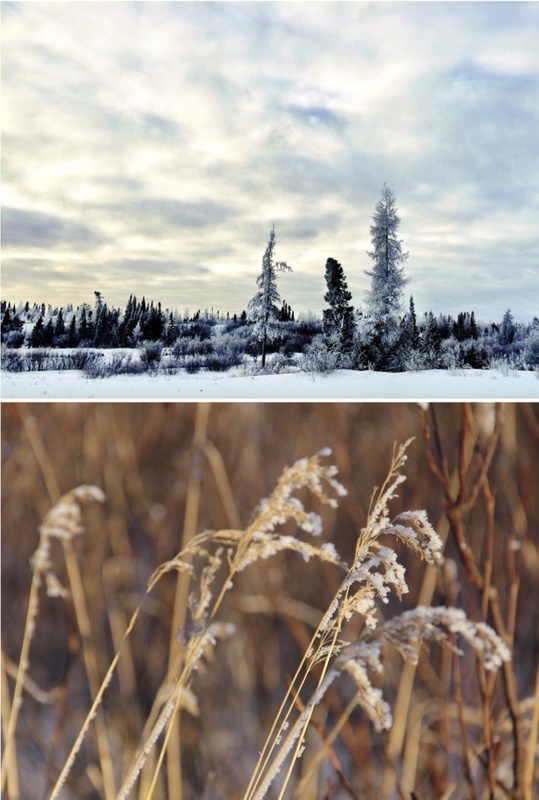 Hey, Lady Grey: Pictures from a snowy weekend…. 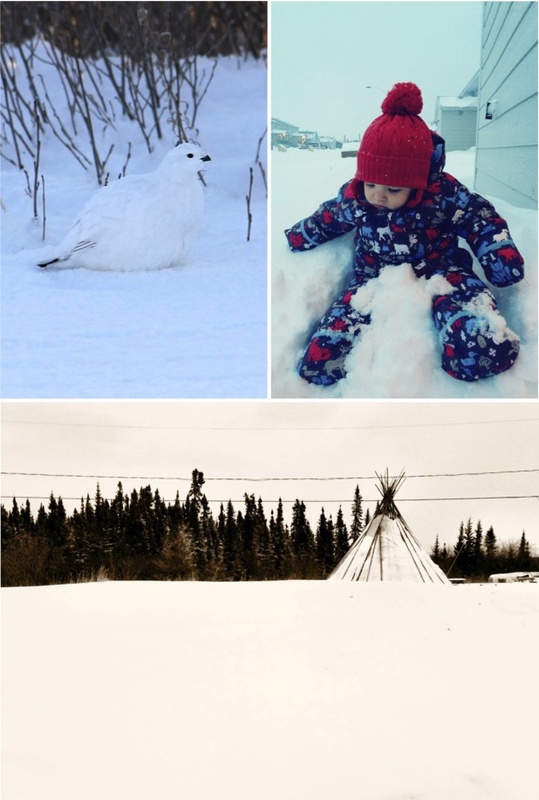 Pictures from a snowy weekend…. We had a lazy and snowy weekend here in the north. The hubby was sick with strep throat, while Zac and I were just recovering from the same thing. So we took it easy this weekend. We slept a lot. We watched the snow falling from the windows. We drank lots of coffee and tea. And Zac and I danced around the house to Christmas songs. And we managed to get outside too…. despite the blizzardy conditions waiting outside our front door. 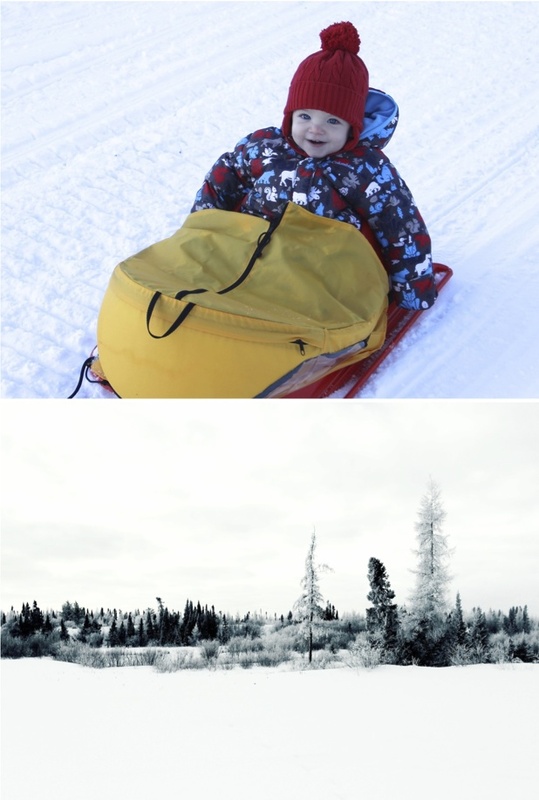 I took Zac for a walk in the sled through the forest behind our house. 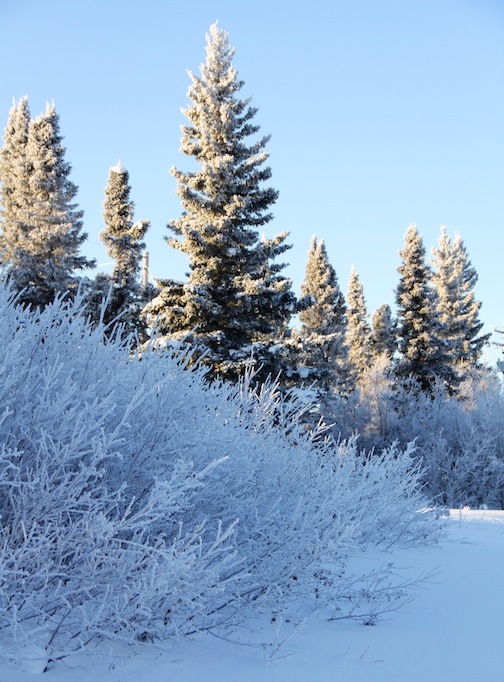 We spotted several "white birds" (as the natives call them up here) camouflaged in the snow, and Zac surveyed the land for caribou (but sadly we didn't see any). On Sunday I spent the afternoon with a few girlfriends drinking tea, eating freshly baked goodies, and making Chirstmas ornaments. 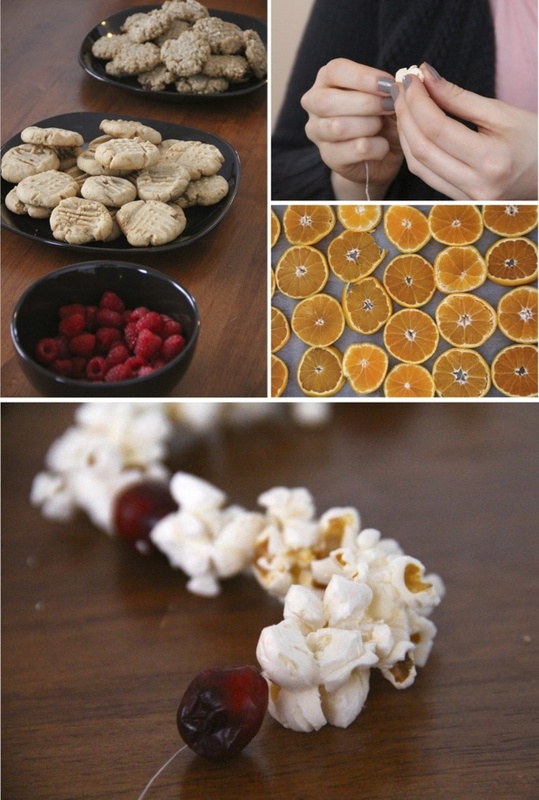 We strung popcorn and cranberry garlands and made oven-dried orange slice ornaments. It was a perfect Sunday afternoon. All in all, a pretty good weekend. Hope yours was sweet too. Absolutely gorgeous photos. I'm in love with that door one. I'd frame it. I love the contrast of the cold outside with all that coziness inside. Beautiful! I LOVE that first photo. We've been getting snow in the city but of course it never looks as beautiful as it does in the country. Zac looks so happy in his sled! That white bird is so beautiful, I don't think I've ever saw one. Zac looks so happy in his sleigh! Happy Holidays to you Vanessa (and family)!